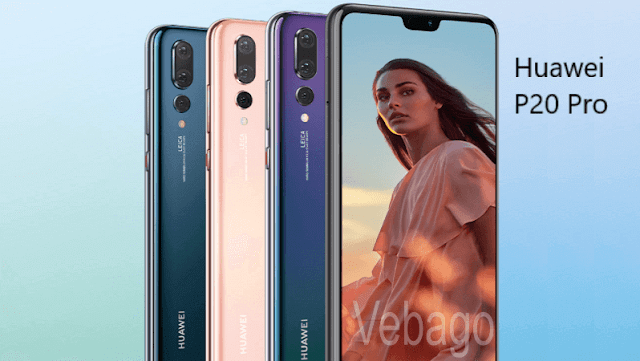 Earlier this week Huawei has unveiled three new smartphones at a press conference in Paris named Huawei P20, Huawei P20 Pro and Huawei P20 LITE. Over the past two years, the Chinese smartphone maker Huawei has launched only the Honor branded lineup in India. Now it seems that these Huawei branded smartphones are going to launch in India very soon. There is no official announcement yet, but the Huawei’s official Indian website says that the Huawei P20 Series "Coming Soon In India". We believe that these smartphones will be made available soon on Flipkart. The Huawei P20 has a 5.8-inch QHD+ display with 2.5D curved glass and a resolution of 2240 x 1080 pixels. The smartphone runs on Android 8.1 (Oreo) with EMUI 8.1 and is equipped with an octa core Kirin 970 processor + i7 co-processor and Mali-G72 MP12 GPU, NPU. The device comes with a Fingerprint sensor, and the Huawei P20 measures 149.1 x 70.8 x 7.65 mm and Weighs 165g. The Huawei P20 smartphone is powered by a 3400mAh battery with a fast charging technology and comes with 4GB of RAM and 128GB of internal storage memory. The P20 sports a 12MP + 20MP Leica dual-camera setup on the rear with dual-tone LED flash and a 24MP front-facing shooter with AI beautification for selfies and video calling. The Huawei P20 Pro comes with an impressive triple rear-facing camera, which consists of 40MP + 20MP + 8MP that click images with background blur effect and a 24MP selfie shooter. The Huawei P20 Pro smartphone is powered by a 4000mAh battery with fast charging support and sports a Fingerprint sensor on the front. Huawei P20 Pro runs on Android 8.1 (Oreo) with EMUI 8.1 and sports a 6GB RAM with 128GB internal memory storage. The Huawei P20 Pro is powered by an Octa-Core Kirin 970 processor + i7 co-processor with Mali-G72 MP12 GPU, NPU and comes with a larger 6.1-inch Full HD+ OLED display with 2.5D curved glass and a resolution of 2240 x 1080 pixels. The Huawei P20 Pro device measures 155 x 73.9 x 7.8 mm and Weighs 180g.